Over 600 people attended the #BEACTIVE Night of Sport. 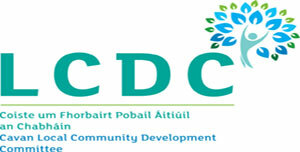 The event provided Kilnaleck Activity Hub with the opportunity to launch the Cavan’s first Sports Hub. 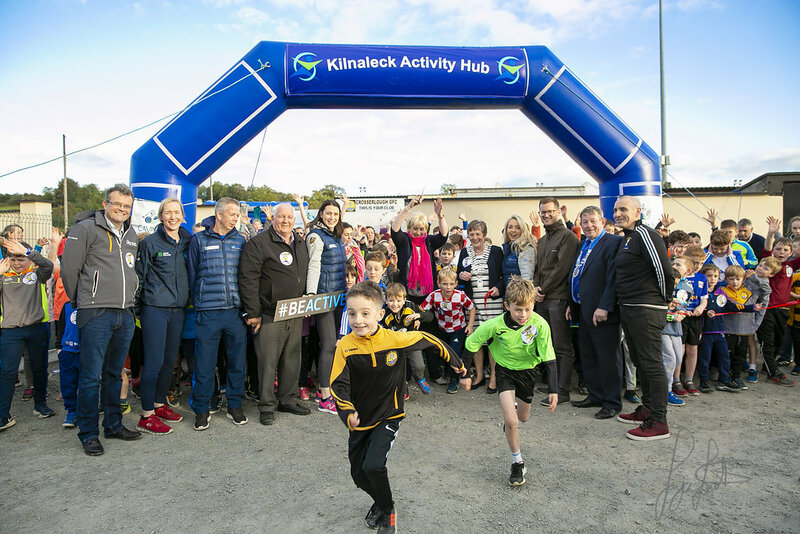 Cllr Madeline ArgueCathaoirleach, Cavan County Council and Heather Humphreys TD, Minister for Business, Enterprise, and Innovation officially launched the Kilnaleck Activity Hub and the #BEACTIVE Night of Sport. 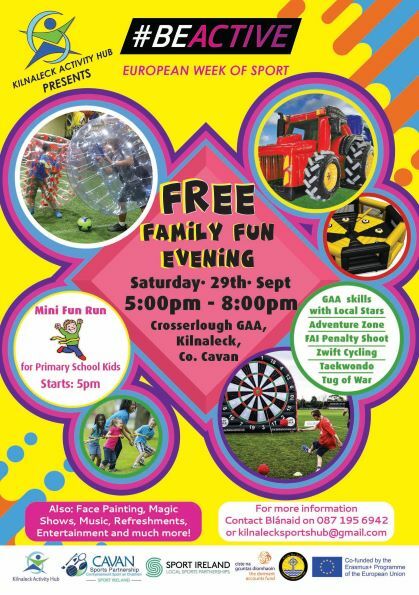 The #BEACTIVE Night of Sport kick started with a hugely successful Family Fun Run with over 300 children running through the town of Kilnaleck. The night also provided a number of sporting organisations to showcase their sport; cycling, GAA, FAI, Athletics, Tug of War and the local Taekwondo club. The family fun festival event was extremely inclusive with something for everyone from face painting, balloon modelling and bubble soccer. The success of the evening was due to the support of the Steering Committee, the local community, CSP and County Council Staff who all volunteered their time freely to ensure a well run and successful #BEACTIVE Night.